The Swedish Armed Forces procured an enterprise licence of VBS3Fires FST in 2016 that included several nation specific customization and development requirements, all achieved, in conjunction with Bohemia Interactive Simulations, within time, scope and budget. Included in this customization was the development of Swedish Armed Forces specific doctrine. 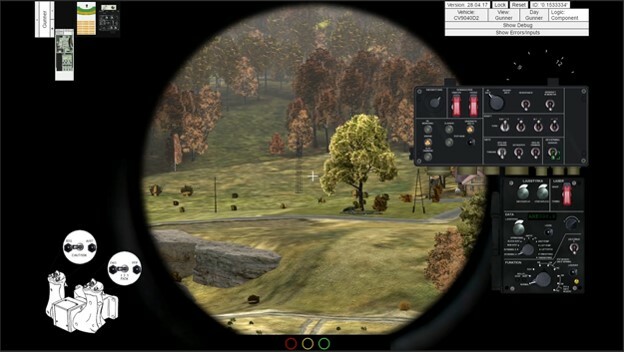 These enhancements were augmented by Bohemia Interactive Simulations’ replication of targeting, optics and communication systems within the Swedish Armed Forces in-service CV90 vehicle, thereby enabling surface and aerial fires to be correctly vectored using current CV90 sub-systems. Finally, the addition of the SAAB 120mm Mortar STRIX end-phase guided projectile required new and extensive terminal effect, sub-munition and damage modelling which was completed in partnership with technical and training experts from the Swedish Armed Forces. VBS3Fires FST is designed to operate “out of the box”, introduction into service for militaries can require specific customization and integration – SimCentric is proud to have contributed in assisting in this introduction into service for VBS3Fires FST within the Swedish Armed Forces.